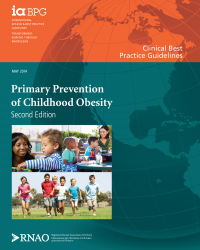 The purpose of this Guideline is to provide nurses across all practice settings with evidence-based practice, education, system, organization and policy recommendations for the primary prevention of obesity in infants, preschool, and elementary-school-aged children. In general, population-based approaches to childhood obesity are used in primary prevention and health promotion activities because of their greater impact on public health (PHAC, 2010b; Public Health Agency of Canada & the Canadian Institutes of Health Information [PHAC & CIHI], 2011). As such, children who are non-overweight, non-obese, and otherwise healthy are the main focus of this Guideline. The treatment of obesity is not within the scope of the recommendations. Readers who are interested in information about treatment should consult the National Institute for Health and Care Excellence guideline Managing Overweight and Obesity Among Children and Young People: Lifestyle Weight Management Services (2013). The focus of this Guideline was narrowed over the course of its development. Its initial purpose was to provide primary-prevention recommendations targeting children and youth aged 0-18 years. However, the systematic review revealed that, with respect to obesity, the majority of the most effective primary-prevention interventions occur in the earliest stages of a child’s growth and development (birth to 12 years of age). In contrast, there was less literature focused on adolescents, and interventions with adolescents reported less-successful outcomes. The expert panel identifies adolescence as a period of time during which healthy behaviours learned as a child may be sustained for the primary prevention of obesity. Moreover, specific interventions directed toward childhood health differ from the peer-based approach endorsed in best practice guidelines for healthy adolescence. 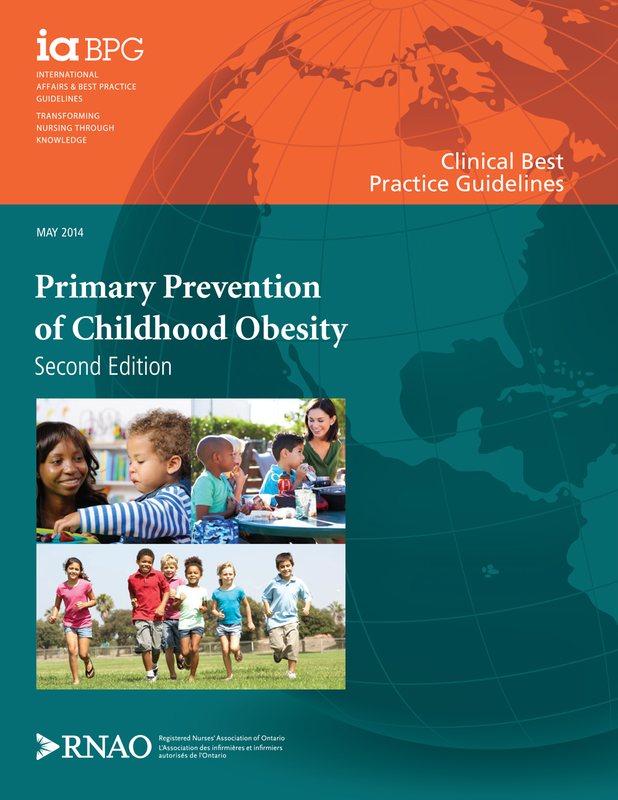 Thus, the expert panel recommended that this Guideline prioritize the primary prevention of obesity in infants, preschool, and elementary-school-aged children up to 12 years of age. For a more comprehensive review of practice recommendations that support adolescent engagement and health, please refer to the RNAO BPG Enhancing Healthy Adolescent Development (2010). First edition originally published 2005. Note: the introduction to this webinar is missing due to technical difficulties at the time of recording.